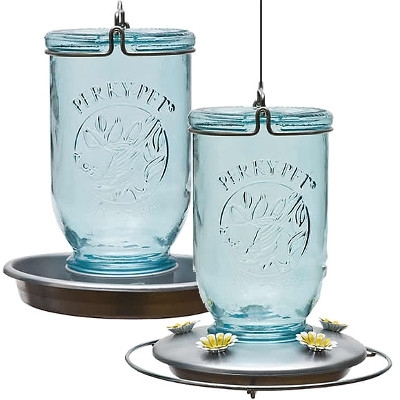 The Perky-Pet® Mason Jar Glass Hummingbird Feeder and Waterer Set will ensure your hummingbirds are well fed and hydrated all season long! 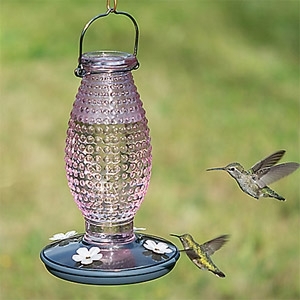 Add rustic style to your yard with this picture-perfect hummingbird feeder and waterer combo. 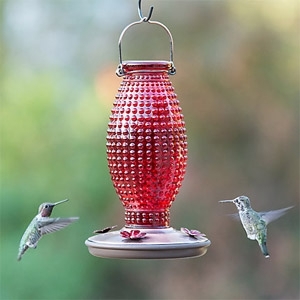 You will love how beautiful the Perky-Pet® Red Hobnail Vintage Hummingbird Feeder will look hanging in your backyard. The red glass bottle of this hummingbird feeder features antique hobnail details that are reminiscent of high-end glassware from the early 1900’s. It has a subtle luster finish that lightly shimmers when hanging in the sunlight.